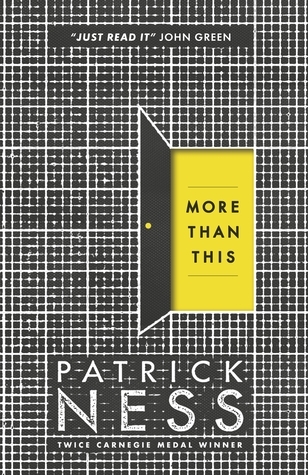 I've heard many fantastic things about Patrick Ness so I decided to pick up this book. Especially when I saw John Green, one of my favourite authors, had recommended it I knew it had to be good! And it was! Straight away I was hooked. It's about a boy that dies but wakes up in another world. Here he meets some other people and together they try to discover where they are and what's going on. The constant mystery running through this book is so gripping, I couldn't put it down. Just as one mystery is revealed, another is discovered. In fact, I think I read this in almost 1 day, it's that good! Dystopians are one of my favourite book genres, so when I saw that this had elements of that, I was over the moon. The deserted landscape, lack of civilisation and over-advanced technology are just some of the features described. Another reason this book is amazing is due to characters. I really felt like they came off the page with their realistic personalities and deep pasts. Discovering the characters bit by bit was an interesting technique used by Ness and I feel this worked really well with the theme of the book. This is a serious recommend from me. It's perfect for any audience, especially young adults. I loved every aspect of this and definitely indent to read more novels by him! It was solitude, but it was solitude that wasn't lonely. Solitude that could sort things out. And he hadn't had that in ages.